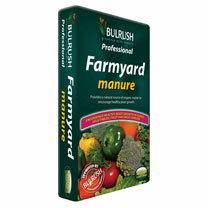 A perfect soil conditioner and a rich source of organic matter which promotes higher crop yields and abundant blooms. Rich in nutrients, it encourages strong root development, improved soil structure and aids water retention. Available: 50 litres x 1, 18 or 35 bags.